no mas pantalones: Shirtshimi "Burger"
Shirtshimi calls this an illustration of a Soda Burger, but with all the great craft beer can offerings out there (i.e. Sixpoint & 21st Amendment), I'd like to think of it as a beer burger. 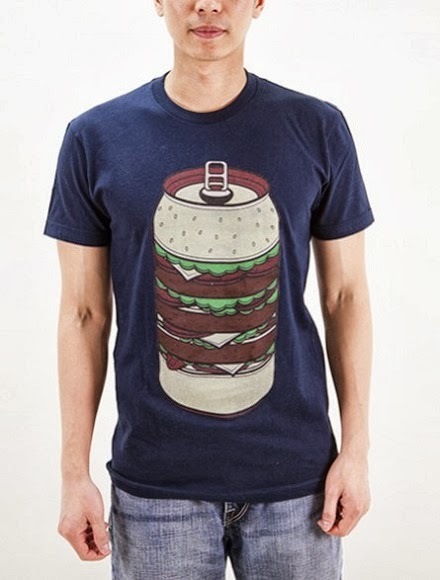 Either way, toast the good life with Shirtshimi's "Burger" tee, available at shirtshimi.com.